Professor Wanlei Zhou received the B.Eng and M.Eng degrees from Harbin Institute of Technology, Harbin, China in 1982 and 1984, respectively, and the PhD degree from The Australian National University, Canberra, Australia, in 1991, all in Computer Science and Engineering. He also received a DSc degree (a higher Doctorate degree) from Deakin University in 2002. He is currently the Head of School of Software in University of Technology Sydney (UTS). Before joining UTS, Professor Zhou held the positions of Alfred Deakin Professor, Chair of Information Technology, and Associate Dean (International Research Engagement) of Faculty of Science, Engineering and Built Environment, Deakin University. Professor Zhou has been the Head of School of Information Technology twice (Jan 2002-Apr 2006 and Jan 2009-Jan 2015) and Associate Dean of Faculty of Science and Technology at Deakin University (May 2006-Dec 2008). Professor Zhou also served as a lecturer in University of Electronic Science and Technology of China, a system programmer in HP at Massachusetts, USA; a lecturer in Monash University, Melbourne, Australia; and a lecturer in National University of Singapore, Singapore. His research interests include security and privacy, bioinformatics, and e-learning. 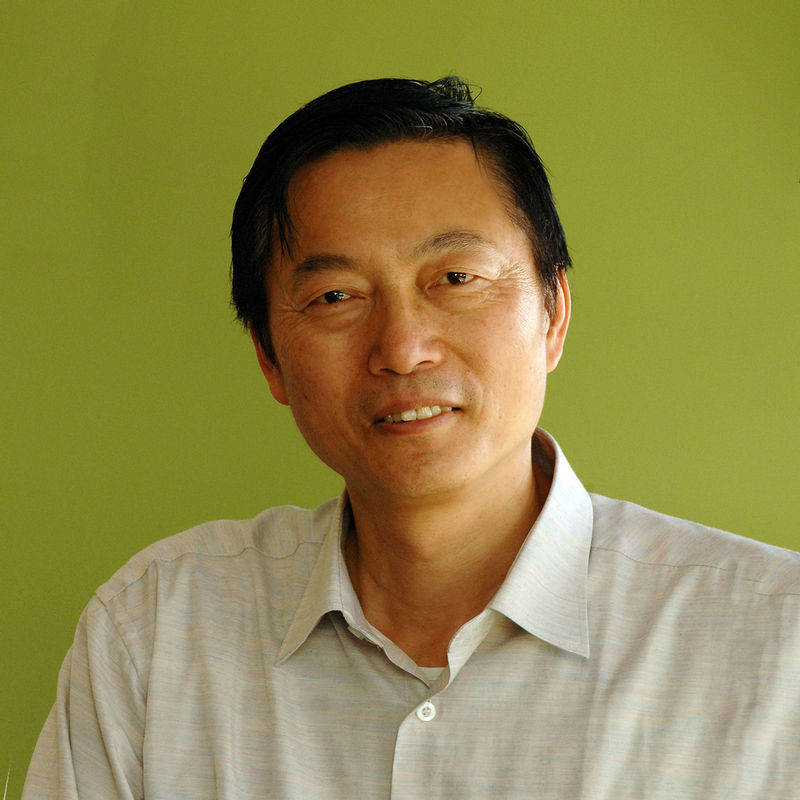 Professor Zhou has received over 10 ARC grants in the last 10 years and has published more than 400 papers in refereed international journals and refereed international conferences proceedings, including many articles in IEEE transactions and journals. He has also chaired many international conferences, including TrustCom, ISPA, IUCC, CSS, ICA3PP, EUC, NSS, HPCC, PRDC, etc., and has been invited to deliver keynote address in a number of international conferences, including SKG, NSS, PDCAT, NSS, EUC, ICWL, CIT, ISPA, ICA3PP, etc. Prof Zhou is a Senior Member of the IEEE. Member of the ARC College of Experts, 2017-2019. 2019-2021: Wanlei Zhou, Tianqing Zhu and Phillip Yu, Australian Research Council (ARC) Discovery Project, DP190100981: “Enhancing privacy preserving in dynamic cyberspace,” Total: $314,000. ARC Discovery Project DP180102828, 2018-2020, Wanlei Zhou and Shui Yu, "Enhancing information credibility using mathematical prediction." Total: $372,725. ARC Linkage Project LP170100123: 2017-2020, Wanlei Zhou, Tianqing Zhu, Gang Li and Paul Kidd, "A provable privacy-preserving data sharing system for the cloud environment". Total: $540,000 (ARC $300,000; Industry: $240,000). ARC Linkage Project LP170100458: 2017-2020: Yong Xiang; Wanlei Zhou; Gleb Beliakov; Longxiang Gao, "Novel audio watermarking techniques for tracing multimedia piracy." Total: $400,000 (ARC $310,000.00; Industry $90,000). ARC Linkage Project LP170100924, 2017-2020, Yang Xiang; Jun Zhang; Wanlei Zhou; Sheng Wen; Shigang Liu, “Developing an effective defence to cyber-reputation manipulation attacks”. Total: $639,000 (ARC: $450,000.00; Industry: $189,000). ARC Discovery Project DP140103649, 2014-2016, Wanlei Zhou and Yang Xiang, "Modelling and defence against malware propagation," Total: $330,000. ARC Linkage Project LP120200266, 2012-2015, Yang Xiang, Wanlei Zhou, Vijay Varadharajan, and Jonathan Oliver, "Developing an active defence system to identify malicious domains and websites," Total: $330,000 (ARC: $240,000. Industry: $90,000). ARC Discovery Project DP1095498, 2010-2012, Yang Xiang, Wanlei Zhou, and Yong Xiang, "Tracing real Internet attackers through information correlation," Total: $220,000. ARC Linkage Project LP100100208, 2010-2012, Wanlei Zhou and Yang Xiang, "An active approach to detect and defend against peer-to-peer botnets". Total: $192,160 (ARC: $159,160. Industry: $33,000). ARC Linkage Project LP100100816, 2010-2012, Wanlei Zhou and Robin Doss, "Secure and Efficient Communication in Vehicle-based Radio Frequency Identification Systems". Total: $192,160 (ARC: $159,160. Industry: $33,000). ARC Discovery Project DP0773264: 2007-2009, Wanlei Zhou and Yang Xiang, "Development of methods to address internet crime". Total: $222,000. ARC Linkage Project LP0562156: 2005-2008, Wanlei Zhou and Wei Shi, "Protecting Web Services from Distributed Denial of Service Attacks". Total: $90,444 (ARC: $72,444. Industry: $18,000). Lu-Xing Yang, Pengdeng Li, Yushu Zhang, Xiaofan Yang, Yong Xiang, Wanlei Zhou: "Effective Repair Strategy Against Advanced Persistent Threat: A Differential Game Approach". IEEE Trans. Information Forensics and Security 14(7): 1713-1728 (2019). Rajkumar Buyya, Satish Narayana Srirama, Giuliano Casale, Rodrigo N. Calheiros, Yogesh Simmhan, Blesson Varghese, Erol Gelenbe, Bahman Javadi, Luis Miguel Vaquero, Marco A. S. Netto, Adel Nadjaran Toosi, Maria Alejandra Rodriguez, Ignacio Martín Llorente, Sabrina De Capitani di Vimercati, Pierangela Samarati, Dejan S. Milojicic, Carlos A. Varela, Rami Bahsoon, Marcos Dias de Assunção, Omer Rana, Wanlei Zhou, Hai Jin, Wolfgang Gentzsch, Albert Y. Zomaya, Haiying Shen: "A Manifesto for Future Generation Cloud Computing: Research Directions for the Next Decade". ACM Computing Survey. 51(5): 105:1-105:38 (2019). Tianqing Zhu, Gang Li, Wanlei Zhou, and Philip S. Yu, "Differentially Private Data Publishing and Analysis: a Survey". IEEE Transactions on Knowledge and Data Engineering. Vol. 29, No. 8, pp. 1619-1638, August 2017. Chao Chen, Yu Wang, Jun Zhang, Yang Xiang, and Wanlei Zhou, and Geyong Min, "Statistical Features Based Real-time Detection of Drifted Twitter Spam". IEEE Transactions on Information Forensics & Security. Vol 12, No. 4, April 2017. Jiaojiao Jiang, Sheng Wen, Shui Yu, Yang Xiang, and Wanlei Zhou, "Identifying Propagation Sources in Networks: State-of-the-Art and Comparative Studies", IEEE Communications Surveys and Tutorials. Vol. 19, No. 1, First Quarter 2017. Longxiang Gao, Tom H. Luan, Shui Yu, Wanlei Zhou, and Bo Liu , "FogRoute: DTN-based Data Dissemination Model in Fog Computing", IEEE Internet of Things Journal, 4(1): 225-235 (2017). Bo Liu, Wanlei Zhou, Tianqing Zhu, Haibo Zhou, Xiaodong Lin, "Invisible Hand: Economic Model based Trajectory Privacy Preserving Schemes in Mobile Crowd Sensing Applications". IEEE Transactions on Vehicular Technology. VOL. 66, NO. 5, pp.4410-4423, MAY 2017. Shui Yu, Wanlei Zhou, Song Guo, Minyi Guo, "A Feasible IP Traceback Framework through Dynamic Deterministic Packet Marking", IEEE Transactions on Computers. VOL. 65, NO. 5, MAY 2016, pp. 1418-1427. Song Han, Shuai Zhao, Qinghua Li, Chunhua Ju and Wanlei Zhou, "PPM-HDA: Privacy-preserving and multifunctional health data aggregation with fault tolerance for cloud assisted WBANs", IEEE Transactions on Information Forensics & Security. VOL. 11, NO. 9, pp. 1940-1955, SEPTEMBER 2016. Chao Chen, Jun Zhang, Yang Xiang, Wanlei Zhou, Jonathan Oliver, "Spammers Are Becoming 'Smarter' on Twitter". IEEE IT Professional, 18(2): 66-70 (2016). Mohammad Sayad Haghighi, Sheng Wen, Yang Xiang, Barry Quinn, and Wanlei Zhou, "On the Race of Worms and Patches: Modeling the Spread of Information in Wireless Sensor Networks". IEEE Transactions on Information Forensics & Security. Volume 11, Issue 12, pp. 2854-2865, DECEMBER.2016. Bo Liu, Wanlei Zhou, Tianqing Zhu, Longxiang Gao, Tom H. Luan, and Haibo Zhou, "Silence is Golden: Enhancing Privacy of Location-Based Services by Content Broadcasting and Active Caching in Wireless Vehicular Networks", IEEE Transactions on Vehicular Technology. VOL. 65, NO. 12, December 2016, pp. 9942-9953. Chao Chen, Yang Xiang, Jun Zhang, Wanlei Zhou, and Xie Yi, "A Performance Evaluation of Machine Learning Based Streaming Spam Tweets Detection", IEEE Transactions on Computational Social Systems. VOL. 2, NO. 3, SEPTEMBER 2015, pp.65-76. Saravanan Sundaresan, Robin Doss, and Wanlei Zhou, "Zero Knowledge Grouping Proof Protocol for RFID EPC C1G2 Tags", IEEE Transactions on Computers. Volume:64, Issue: 10, pp. 2994-3008, October 2015. Jiaojiao Jiang, Sheng Wen, Shui Yu, Yang Xiang, and Wanlei Zhou, "K-center: An Approach on the Multi-source Identification of Information Diffusion", IEEE Transactions on Information Forensics & Security, Volume:10, Issue: 12, pp. 2616-2626. December 2015. Jun Zhang, Xiao Chen, Yang Xiang, Wanlei Zhou, and Jie Wu, "Robust Network Traffic Classification," IEEE/ACM Transactions on Networking. Volume 23, Issue 4, pp. 1257-1270. August 2015. Sheng Wen, Mohammad Sayad Haghighi, Chao Chen, Yang Xiang, Wanlei Zhou, and Weijia Jia, "A Sword with Two Edges: Propagation Studies on Both Positive and Negative Information in Online Social Networks", IEEE Transactions on Computers, Vol. 64, No. 3, pp. 640-653, March 2015. Tianqing Zhu, Ping Xiong, Gang Li and Wanlei Zhou, "Correlated Differential Privacy: Hiding Information in Non-IID Dataset," IEEE Transactions on Information Forensics and Security, Vol 10, No 2, February 2015, pp229-242. Saravanan Sundaresan, Robin Doss, Selwyn Piramuthu, and Wanlei Zhou, "Secure Tag Search in RFID Systems Using Mobile Readers", IEEE Transactions on Dependable and Secure Computing, Vol. 12, No. 2, pp. 230-242, March/April 2015. Yong Xiang, Tianrui Zong, Iynkaran Natgunanathan, Song Guo, Wanlei Zhou and Gleb Beliakov, "Robust Histogram Shape Based Method for Image Watermarking", IEEE Transactions on Circuits and Systems for Video Technology, Vol. 25, No. 5, pp. 717-729, May 2015. Yini Wang, Sheng Wen, Yang Xiang, and Wanlei Zhou, "Modeling the Propagation of Worms in Networks: A Survey", IEEE Communications Surveys and Tutorials, Volume:16, Issue: 2, pp. 942-960, 2014. Saravanan Sundaresan, Robin Doss, Selwyn Piramuthu, and Wanlei Zhou, "A Robust Grouping Proof Protocol for RFID EPC C1G2 Tags", IEEE Transactions on Information Forensics and Security, VOL. 9, NO. 6, 2014, pp 961-975. Silvio Cesare, Yang Xiang, and Wanlei Zhou, "Control Flow-based Malware Variant Detection", IEEE Transactions on Dependable and Secure Computing, VOL. 11, NO. 4, JULY/AUGUST 2014, pp. 304-317. Sheng Wen, Wei Zhou, Jun Zhang, Yang Xiang, Wanlei Zhou, Weijia Jia, and Cliff C.Zou "Modeling and Analysis on the Propagation Dynamics of Modern Email Malware", IEEE Transactions on Dependable and Secure Computing, VOL. 11, NO. 4, JULY/AUGUST 2014, pp. 361-374. Yong Xiang, Iynkaran Natgunanathan, Song Guo, Wanlei Zhou, and Saeid Nahavandi, "Patchwork-Based Audio Watermarking Method Robust to De-synchronization Attacks", IEEE Transactions on Audio, Speech and Language Processing, VOL. 22, NO. 9, 2014. PP. 1413-1423. Yu Wang, Yang Xiang, Jun Zhang, Wanlei Zhou, Guiyi Wei, and Laurence Yang, "Internet Traffic Classification Using Constrained Clustering", IEEE Transactions on Parallel and Distributed Systems, VOL. 25, NO. 11, NOVEMBER 2014. pp. 2932-2943. Sheng Wen, Jiaojiao Jiang, Yang Xiang, Shui Yu, and Wanlei Zhou, "Are the Popular Users Always Important for the Information Dissemination in Online Social Networks?" IEEE Network, pp. 64-67, September/October 2014. Sheng Wen, Jiaojiao Jiang, Yang Xiang, Shui Yu, Wanlei Zhou and Weijia Jia, "To shut them up or to clarify: restraining the spread of rumours in Online Social Networks", IEEE Transactions on Parallel and Distributed Systems, Vol. 25, No. 12, pp. 3306-3316, 2014. Yongli Ren, Gang Li, Jun Zhang, and Wanlei Zhou, "Lazy Collaborative Filtering for Data Sets with Missing Values", IEEE Transactions on Cybernetics, VOL. 43, NO. 6, pp. 1822-1834, DECEMBER 2013. Silvio Cesare, Yang Xiang, and Wanlei Zhou, "Malwise - An Effective and Efficient Classification System for Packed and Polymorphic Malware", IEEE Transactions on Computers, Vol. 62, Issue 6. pp.1193-1206, June 2013. Longxiang Gao, Ming Li, Alessio Bonti, Wanlei Zhou, and Shui Yu, "Multi-Dimensional Routing Protocol in Human Associated Delay-Tolerant Networks", IEEE Transactions on Mobile Computing, VOL. 12, NO. 11, NOVEMBER 2013, pp. 2132-2144. Sheng Wen, Wei Zhou, Jun Zhang, Yang Xiang, Wanlei Zhou, and Weijia Jia, "Modeling Propagation Dynamics of Social Network Worms", IEEE Transactions on Parallel and Distributed Systems, vol. 24, no. 8, pp. 1633-1643, Aug. 2013. R. Doss, W. Zhou, and S. Yu, "Secure RFID Tag Ownership Transfer based on Quadratic Residues", IEEE Transactions on Information Forensics and Security, VOL. 8, NO. 2, FEBRUARY 2013, pp. 390-401. Jun Zhang, Yang Xiang, Wanlei Zhou, Yu Wang, "Unsupervised Traffic Classification Using Flow Statistical Properties and IP Packet Payload", Journal of Computer and System Sciences (Elsevier), Volume 79, Issue 5, August 2013, Pages 573-585. Jun Zhang, Yang Xiang, Yu Wang, Wanlei Zhou, Yong Xiang, and Yong Guan, "Network Traffic Classification Using Correlation Information", IEEE Transactions on Parallel and Distributed Systems, VOL. 24, NO. 1, JANUARY 2013, pp. 104-117. Jun Zhang, Chao Chen, Yang Xiang, Wanlei Zhou, and Yong Xiang, "Internet Traffic Classification by Aggregating Correlated Naive Bayes Predictions", IEEE Transactions on Information Forensics and Security, VOL. 8, NO. 1, JANUARY 2013, pp. 5-15. Ms Febrianti Widyahastuti, PhD candidate, Topic: "The Relationship Between Online Tutorials and Academic Performance in Distance Education: A Predictive Framework for Open University, Indonesia". She started in September 2014. Thesis submitted in November 2018. Under examination. Ms Mengmeng Yang, PhD candidate, Topic: “Improving Privacy Preserving in Modern Applications”. Thesis submitted in August 2018. Examination completed April 2019. Degree to be awarded in October 2019. Dr Yongqing Jiang, PhD candidate, Topic: "Repetitive DNA sequence assembly", He started in November 2012. Thesis submitted November 2017. Examination completed April 2018. Degree awarded October 2018. Dr Ashish Saini, PhD, Topic: "Computational Methods for Breast Cancer Diagnosis, Prognosis, and Treatment Prediction". He started in February 2012. Thesis submitted in August 2014. Degree awarded in April 2015. Dr Sheng Wen, PhD, Title: "Modeling the Propagation and Defense Study of Internet Malicious Information", He started in June 2011. Thesis submitted in April 2014. Degree awarded in October 2014. Dr Tianqing Zhu, PhD, Title: "Differential Privacy and Its Applications", She started in March 2011. Thesis submitted in April 2014. Degree awarded in October 2014. Dr Longxiang Gao, PhD, Title: "Routing and Privacy Protection in Human Associated Delay Tolerant Networks", He started in August 2010. Degree awarded in April 2014. Dr Yongli Ren, PhD, Title: "Intelligent Techniques for recommender system", Thesis submitted in May 2013. Degree awarded in October 2013. Dr Alessio Bonti, PhD, Title: "Models, Services and Security in the Modern Online Social Networks", Thesis submitted in December 2012. Degree awarded in October 2013. Dr Yini Wang, PhD, Title: "Modelling and Defence against Propagation of Worms in Networks", Thesis submitted in April 2012. Degree awarded in October 2012. Dr Theerasak Thapngam, PhD, Title: "Sources Estimation for DDoS Attacks", Thesis submitted in October 2011. Degree awarded in October 2012. Dr Ping Li, PhD, Title: "Detect Stepping Stones in Internet Environments", Thesis submitted in March 2011. Degree awarded in October 2011. Dr Faye (Ferial) Khaddage, PhD, Title: "Image Indexing for Learning Content in a Mobile Learning Environment", Thesis submitted in December 2009. Degree awarded in October 2010. Dr Leanne Ng, PhD, Title: "Transitioning Towards an Improved I.T. Security Culture in Organisations", Thesis submitted in March 2009. Degree awarded in April 2010. Dr Ke Li, PhD, Title: "Reliable Algorithms and Attack Detection Schemes for Network Systems", Thesis submitted in June 2009. Degree awarded in April 2010. Dr Ashley Chonka, PhD, Title: "Protecting Web Services from Distributed Denial of Service Attacks", Thesis submitted in July 2009. Degree awarded in April 2010. Dr Md. Rafiqul Islam, PhD, Title: "Classification Algorithms for Spam Filtering", Thesis submitted in April 2008. Degree awarded in October 2008. Dr John Casey, PhD, Title: "Cache and Replica Lookup, Indexing and Synchronization in P2P Environments", Thesis submitted in January 2008, Degree awarded in April 2008. Dr Elicia Lanham, PhD, Title: "Supporting Blended Learning in an E-Learning Environment." Thesis submitted in April 2007, Degree awarded in April 2008. Dr Yang Xiang, PhD, Title: "a Distributed Defense System for Defense Against Distributed Denial-of-Service Attacks", Thesis submitted in November 2006. Degree awarded in April 2007. Dr Ruth S Raitman, PhD. Title: "Collaboration in an online learning environment." Thesis submitted in August 2006. Degree awarded in April 2007. Dr Naomi Augar, PhD, Title: "Supporting Community, Culture and Collaboration with Emerging E-Learning Technologies", Thesis submitted in June 2006. Degree awarded in April 2007. Dr Mingjun Lan, PhD, Title: "Algorithms and Applications of Preference Based Ranking for Information Retrieval," submitted in May 2005, degree awarded in April 2006. Mr. Adil M. Hammadi, MSc by Research, Title: "Reliability of Web Services." Thesis submitted in December 2005, degree awarded in 2006. Dr Shui Yu, PhD, Title: "Anycast Service and Its Applications", Thesis submitted in June 2004, degree awarded in 2005. Dr Hua Ye, PhD, Title: "Application of Fast and Robust Equalization in Communication Technology", Thesis submitted in October 2003, degree awarded in 2004. Dr Changgui Chen, PhD, Title: "Reactive Systems and Their Applications in a Distributed environment," Thesis submitted in July 2001, degree awarded in 2002. Dr Li Wang, PhD, Title: "A Toolkit for Constructing Service Replication Systems," Thesis submitted in 1999, degree awarded in 2000. Miss Jenny Zhong, MSc by Research, Title: "Mobile Transaction Management in a Replicated Environment," Thesis submitted in 1999, degree awarded in 1999. © 2013 IEEE. The growing popularity of location-based services is giving untrusted servers relatively free reign to collect huge amounts of location information from mobile users. This information can reveal far more than just a user's locations but other sensitive information, such as the user's interests or daily routines, which raises strong privacy concerns. Differential privacy is a well-acknowledged privacy notion that has become an important standard for the preservation of privacy. Unfortunately, existing privacy preservation methods based on differential privacy protect user location privacy at the cost of utility, aspects of which have to be sacrificed to ensure that privacy is maintained. To solve this problem, we present a new privacy framework that includes a semi-trusted third party. Under our privacy framework, both the server and the third party only hold a part of the user's location information. Neither the server nor the third party knows the exact location of the user. In addition, the proposed perturbation method based on the Johnson Lindenstrauss transform satisfies the differential privacy. Two popular point of interest queries, -NN and Range, are used to evaluate the method on two real-world data sets. Extensive comparisons against two representative differential privacy-based methods show that the proposed method not only provides a strict privacy guarantee but also significantly improves performance. © 2018 IEEE. To fight against the evolving computer viruses, we must constantly inject new virus patches into the computer networks. This paper addresses the patch injection problem, i.e., the problem of developing a patch injection strategy to mitigate the negative impact of virus attacks. As the impact of an attack depends on not only the patch injection strategy but the unknown virus injection strategy, the patch injection problem is very complicated. This paper initiates the study of the patch injection problem by means of security economics and differential game theory. First, based on a novel virus-patch mixed propagation model, we model the original problem as a differential game. Second, we develop a method for finding a candidate for the Nash equilibrium of the game, examine the structure of the candidate, and give some examples of the candidate. Furthermore, we demonstrate through comparative experiments that the candidate is better in terms of the Nash equilibrium solution concept. Therefore, we recommend the patch injection strategy in the candidate. Finally, we examine the effects of some factors on the performance of the recommended patch injection strategy. Overall, these findings undoubtedly have guiding significance to defense against virus infections. © 2014, Springer Science+Business Media New York. Streams of short text, such as news titles, enable us to effectively and efficiently learn the real world events that occur anywhere and anytime. Short text messages that are companied by timestamps and generally brief events using only a few words differ from other longer text documents, such as web pages, news stories, blogs, technical papers and books. For example, few words repeat in the same news titles, thus frequency of the term (i.e., TF) is not as important in short text corpus as in longer text corpus. Therefore, analysis of short text faces new challenges. Also, detecting and tracking events through short text analysis need to reliably identify events from constant topic clusters; however, existing methods, such as Latent Dirichlet Allocation (LDA), generates different topic results for a corpus at different executions. In this paper, we provide a Finding Topic Clusters using Co-occurring Terms (FTCCT) algorithm to automatically generate topics from a short text corpus, and develop an Event Evolution Mining (EEM) algorithm to discover hot events and their evolutions (i.e., the popularity degrees of events changing over time). In FTCCT, a term (i.e., a single word or a multiple-words phrase) belongs to only one topic in a corpus. Experiments on news titles of 157 countries within 4 months (from July to October, 2013) demonstrate that our FTCCT-based method (combining FTCCT and EEM) achieves far higher quality of the event's content and description words than LDA-based method (combining LDA and EEM) for analysis of streams of short text. Our method also visualizes the evolutions of the hot events. The discovered world-wide event evolutions have explored some interesting correlations of the world-wide events; for example, successive extreme weather phenomenon occur in different locations - typhoon in Hong Kong and Philippines followed hurricane and storm flood in Mexico in September 2013. Traffic classification technique is an essential tool for network and system security in the complex environments such as cloud computing based environment. The state-of-the-art traffic classification methods aim to take the advantages of flow statistical features and machine learning techniques, however the classification performance is severely affected by limited supervised information and unknown applications. To achieve effective network traffic classification, we propose a new method to tackle the problem of unknown applications in the crucial situation of a small supervised training set. The proposed method possesses the superior capability of detecting unknown flows generated by unknown applications and utilizing the correlation information among real-world network traffic to boost the classification performance. A theoretical analysis is provided to confirm performance benefit of the proposed method. Moreover, the comprehensive performance evaluation conducted on two real-world network traffic datasets shows that the proposed scheme outperforms the existing methods in the critical network environment. © 2004-2012 IEEE. © 2018, Springer Nature Switzerland AG. The advent of cloud computing has inspired an increasing number of users outsourcing their data to remote servers to enjoy flexible and affordable data management services. However, storing data in a remote cloud server raises data privacy and security concerns, i.e., the integrity and origin of the query results. Although some solutions have been proposed to address these issues, none of them consider the arbitrary dissemination control of authenticated tree-structured data while disseminating to other users. To address the above concerns, in this paper, we first propose a novel and efficient redactable signature scheme which features editable homomorphic operation and redaction control on tree-structured data. Subsequently, we prove the security properties of our scheme and conduct extensive theoretical and experimental analyses. The experimental results show that our scheme outperforms the existing solutions in disseminating of authenticated tree-structured data with privacy protection and dissemination control in outsourced database (ODB) model.